Woohoo! The time for college has arrived and dorm shopping just became a big part of your to-do list. Make this moment special by finding out the best ways to make your dorm a symbol of who you are. If you find yourself asking questions like: where should I start? Or what if my boujee self can’t find anything to satisfy my needs? Then you probably should continue on reading. Don’t fret my friend, dorm shopping will be a breeze. Luckily for you, students around the country have exhausted the best dorm shops to shop at and why. If you think you know where to start, think again. Take a look at 10 stores to hit up for the ultimate dorm shopping spree. 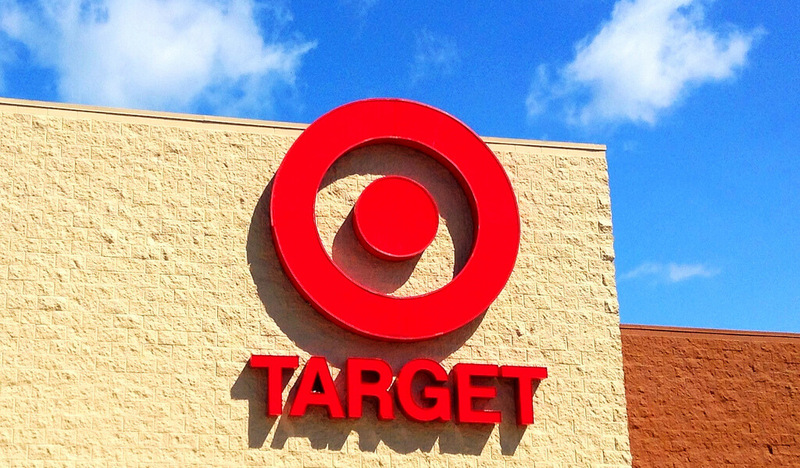 Hit the bullseye by catching great deals on dorm shopping at Target. If your target is to shop at a place where they value their customers, look no further. Target ensures that everyone in a red shirt acts like your best friend. “Can I help you find something?” “Welcome to Target, let us know if you need help with anything.” Those are the typical greetings you can find at Target. If you need help selecting your dorm color theme, just ask. They will love to help you out. “Shopping at Target was very convenient for me. My mom and I had a lot of fun choosing my dorm’s color theme. The great thing about Target is they allow for you to pick what color theme you want and then give you different supplies that match along with it,” University of Florida junior Daisja Fleming said. At Bed Bath & Beyond, every item stacks all the way up to the high ceilings, looking like a supercharged version of your pantry after your mom visits your college town and stocks you up. We all like those visits. Dorm shopping may not always excite you because of all the traveling. Having to travel from store to store can cause massive exhaustion. However, going to Bed Bath & Beyond can limit those travels. Shop here and find yourself getting everything you need. 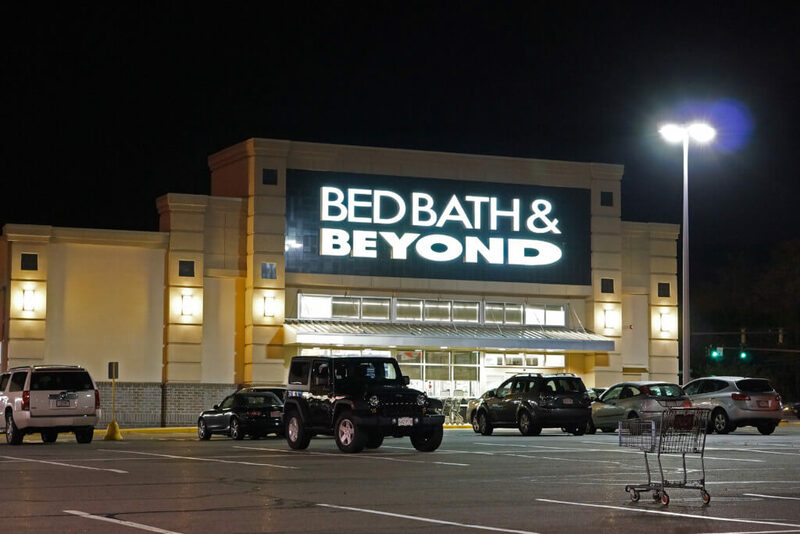 Expect to find yourself indecisive with Bed Bath & Beyond endless aisles and massive collection of items. “Just like it says it in the name, it has EVERYTHING. I got everything I needed, stuff for my kitchen, bathroom supplies, bedding and laundry essentials. I didn’t need to go anywhere else,” University of Florida junior Hannah Wilson. Walmart, oh sweet ole reliable Walmart. Who said Walmart wasn’t a second heaven? Their great deals and reliable sources make up the perfect place to shop at. Play into the family friendly environment by bringing your parents and/or annoying siblings along to pick out the perfect dorm essentials. Count on Walmart for making your shopping experience a clean one. 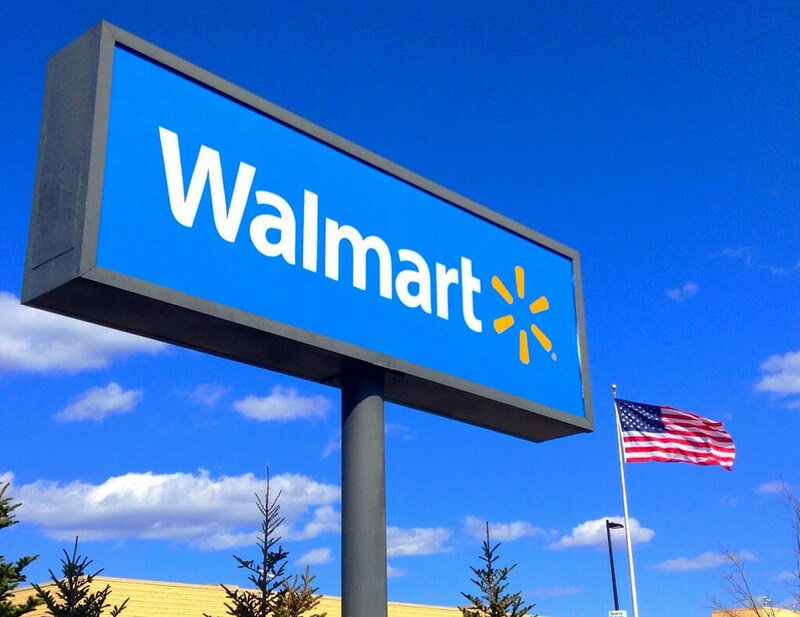 Walmart has taken priority in ensuring that their customers shop in a clean environment. A clean environment must mean they have great cleaning essentials. You’ll need this for when you drop your lasagna on the ground coming from the kitchen. Or a good Febreeze bottle will be useful for those nights after hosting a party with your 50 closest friends. Get prepared by going down Walmart’s cleaning tools aisle. 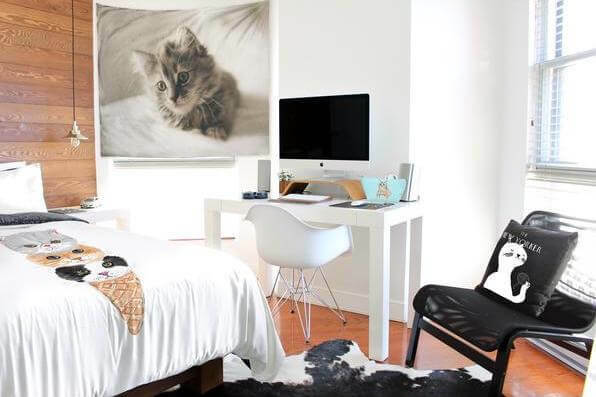 Hipsters, foodies, cat lovers—everyone can deck out their dorm in graphic prints to suit their interests from the College Magazine Shop. The CM shop has a lot of fun and exciting items for those uniquely defined individuals. Who wants normal dorm decorations? Make a bold statement with large print tapestries, duvets and even matching T-shirts to tell everyone who you are as soon as they walk in to your dorm. Take full advantage of their awesome collections to pull together matching pieces with zero effort. Not only will you enjoy their rare items but you’ll get it on the low-low. Owning personalized items make you feel special and unique. One quick glance at your personalized handbag can change your whole mood. You can rest assured no one else will have it like you. 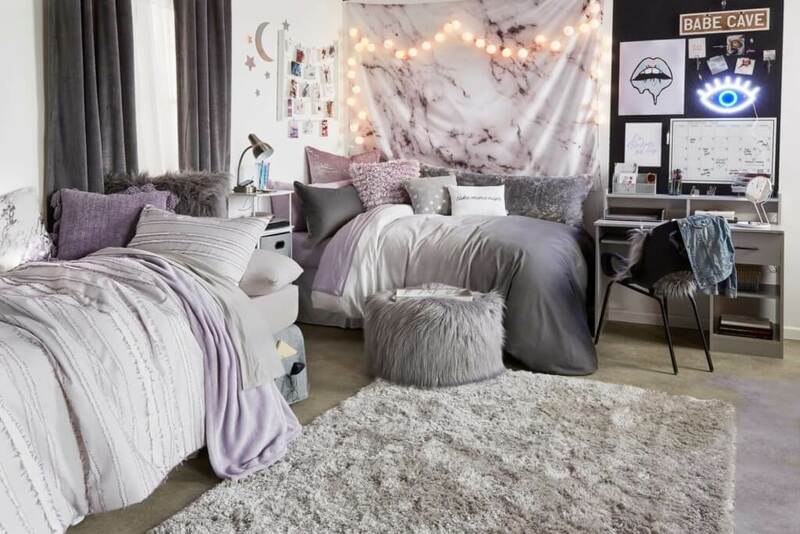 Feel uniquely defined and special by shopping for your dorm at Pottery Barn Teen. Have fun in personalizing your own book bag, water bottle and towels. Not into personalizing? Well, PBdorm offers other items such as beautiful bedding that you can choose from. “I love their stuff, it’s very high quality. Yeah, it may be a little pricey but hey I’m in college I deserve this reward,” University of Florida junior Yeyenne Telisme said. Who has time to physically drive to a store anymore? You can now claim your title as a college student and make shopping online as your primary shopping source. Amazon has a lot of budget-friendly dorm items that many college students favor. But, don’t go too crazy next thing you know your shopping cart total equals your tuition—not a nice price. Spice up your dorm by making it memorable with LED photo clips hanging across your bedframe. 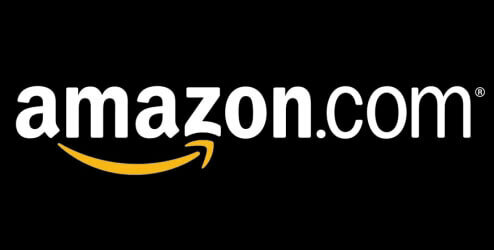 The beauty of Amazon comes from being able to enjoy all their awesome products in the comfort of your home. Go ahead and relax and expect for your awesome new twin size comforter set to arrive right at your door. Although we know VS for their underwear and amazing semi-annual sale, they do offer more. Victoria Secret has dorm comforter sets as comfortable as their T-shirt bras and colorful sporty backpacks. Hey, if you want to get a little spicy you can do that too: Pick up everything you need to entertain any overnight dorm guest you take home from your first college party. “I’m not normal. I didn’t want the typical dorm comforter sets. So that’s why I went to VS, their blankets are so soft and very girly. I’m a proud VS fan,” Miami Dade college junior Sarah Jean said. Don’t sleep on Hobby Lobby. They have a wide range of arts and crafts that you can have fun with in decorating your dorm. Enjoy the last few minutes you have with your grandma by getting artsy together making your own picture frames, shelves and wall art. Sometimes students just need to get away and have their mood change. 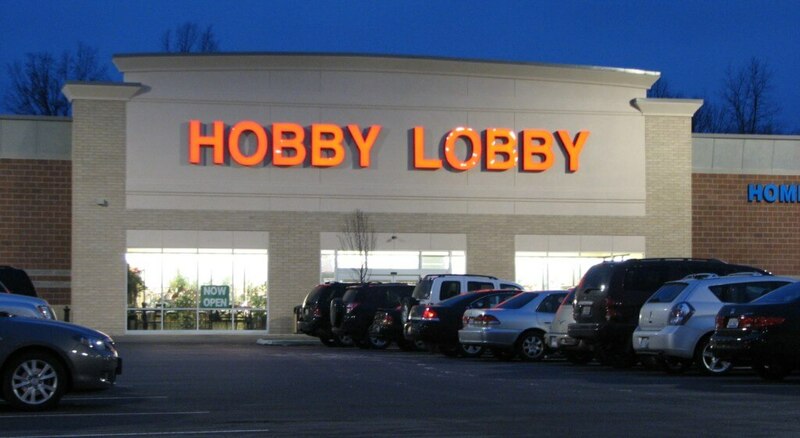 As weird as this may sound, Hobby Lobby can do just that. Analyzing all the art and hearing the soothing music played throughout the store can count as a therapeutic tool. “They have very nice picture frames that you can hang up on your wall. I was very excited in finding this great motivational piece that makes living in my dorm a lot better,” Wayne State University junior Niyah Jackson said. Magnify your dorm by making a stop at Dormify. 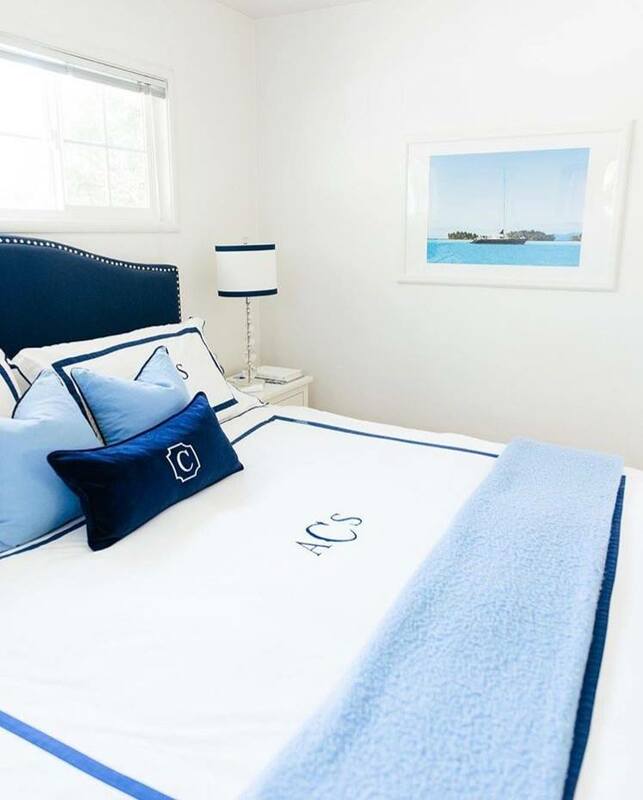 Dormify has a ton of beautiful comforter sets that you would love to have. Who wants to look at a boring, bland cinder block wall all semester? Spice up your walls by adding some of Dormify’s colorful wall décor. Go further in research and look into their categories: desk accessories, room accessories and jewelry organizers. “Dormify definitely helped my organizational skills. With all the storage options, they provide I was able to find the right storage for my shoes, towels, and even my books,” Florida Agricultural & Mechanical University junior Neldwine Jeannot said. Going into college you may not have a ton of money; most of the time this is the time where most student actually enter the hell hole of debt. Dress for less—yeah that sounds good to any broke college student. Don’t go more into debt by trying to spend nonexistent money on your dorm. However, who said a broke college student couldn’t afford the finer things in life? Well, whoever said that obviously haven’t shopped at Ross. Find eye-catching décor by going over to the home section and discover all that they have to offer. Go pick up some cool house party gear over at the clearance section. 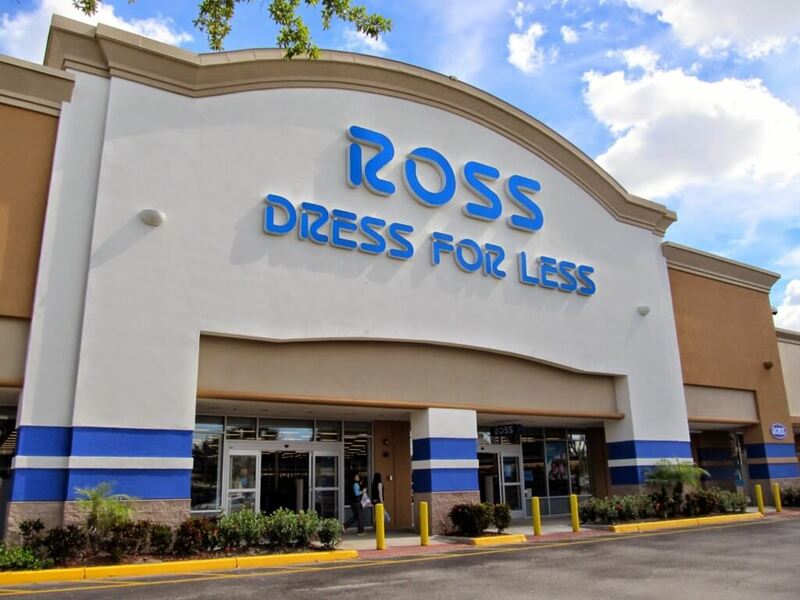 Ross will make you feel like a lottery winner getting the best out of life. This cannot be the real price! Wow, this material is really nice! These comments are frequently made while being at Ross. If you want to join the happy reviewers I suggest you get on this dress for less bandwagon.